Google’s Eric Schmidt announced that Google was activating 200,000 Aandroid phones per day, that’s an increase of over 100% from the same time last year and must be causing Apple a few nightmares. Though to put it in perspective, Nokia are still selling over 1.4m phones per day. Google, Apple Microsoft and Nokia own the phone operating system (OS), but up until very recently Nokia (who did a deal with Yahoo Mobile) were the only company who didn’t own the back-end services to go with it. In times of old Microsoft made a huge mistake by just treating the desktop OS (Windows) as a bit of software and though made a lot of money selling software, they didn’t really own the user. Google changed that by taking control of search and monetising their web experience (and then extending that with other web based applications). On the mobile front Google came out with guns blazing, challenging the existing OS vendors, by giving away everything for free. This has led to the wide adoption of the OS by handset manufacturers and has caused waves in the industry so much so that Nokia open sourced Symbian. Google also toughted developers by making Android easy to program and by giving away Nexus One’s at pretty much every Google sponsored event (everyone likes a free phone). Even though Google’s mission statement may include the phrase “do no evil”, they’re not giving away Android for free for any altruistic reasons. 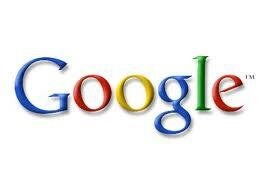 Google is a commercial company out to make money and they’ll do that however they can. With Google search, they can track your search habits and deliver targetted advertising based on that profile, they can also tie that to your Google Email account and any other Google services you use. 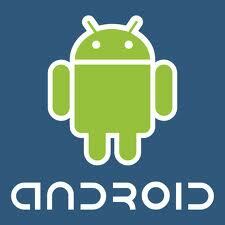 Android moves this to another dimension. As soon as you get the phone you have to ‘activate it’ which really means tieing it to your Google account (Android only works in a limited way if you don’t). Since everything that you use one the phone sits on top of the Android OS, now not only to Google know what your searching for, but they know every site you visit, every call you make, what apps your using and what they’re accessing as well as that it’s all nicely tied to your Google account. Google are very cagey about what information they actually keep and how much they tie back to individuals (publically they say it’s all anonymised) but on Android that’s all linked back to a real ID and there’s potentially a huge amount of information they store which is of course useful to Google themselves, but who else do they make it available to? It’s very unlikely that it goes to any competitors, but what about the Government or security services? Android isn’t the only way Google are trying to harness more information, they’ve already released the Chrome browser which which can send your desktop viewing habits back to Google and shortly they’ll be releasing the ChromeOS which is a complete desktop (or notebook) ‘cloud’ based operating with limited local storage so again Google own everything that you do. Google are ‘activating’ 200,000 phones a day i.e. aorund 1m per week, so that’s a lot of people that they’re gathering a lot of information about. Previous Previous post: Lady Geek TV #7 – Can an App Really Make You Fit?